Don’t get left up a tree! Join us at the 2017 IAP2 North American Conference! You have less than a month to take advantage of the early-bird pricing at the Conference. Through June 30 take advantage of discounted, early bird pricing! IAP2 Members pay US $550.00 and non-members pay $700.00. On July 1, those prices go up to $650 and $800, respectively. So register now and assure your spot in Denver! And remember, you can cash in on a great rate at the host hotel, the Westin Downtown — $189/night if you book by August 6. Become a Sponsor! – Apply Now! Increasingly, people expect to have input into projects that affect the air they breathe, and for many, being told that there are standards or an agency watching over air quality is not enough. Getting members of the public and environmentalists to engage effectively with large polluters is a challenge. In “When Consultation is Not Enough”, you’ll learn about the Alberta Airshed, which for the past twenty years has brought together the public, environmental groups and industry, to work on decisions that affect the air. They share information on an equal footing. They’ve devised ways of properly monitoring, evaluating and managing air quality – something that requires all stakeholders to make a commitment. Polarization and partisan anger are part of human nature and have an impact on public participation. Recent political developments have highlighted that reality, and knowing how that nature works can help you prepare for what could be some ugly scenes in P2 processes. 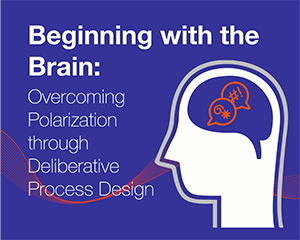 Dr Martin Carcasson, Director of the Center for Public Deliberation at Colorado State University, has spent the past year studying intensively the literature on social psychology, and will share what he’s learned in “Beginning with the Brain in Mind”. Through his presentation and discussion, you will learn how to design processes that avoid triggering negative aspects of human nature, like selective exposure and confirmation bias, and tap into critical positive aspects such as empathy and creativity. P2 is all about inclusion, and practitioners make a point of making sure ethnic, faith, seniors, youth and immigrant groups, among others, are able to take part in their processes. But did you know that people with disabilities make up the single largest minority group in the US? How do you break down the barriers to their taking part – especially when you might not even know those barriers are there? 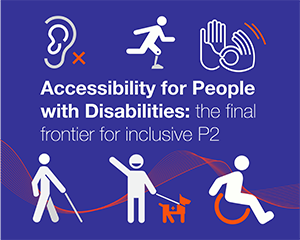 Join Penny and Jenni at “The Final Frontier for Inclusive P2”, where you’ll get an idea of the demographics, the different impacts certain projects can have on people with disabilities and the basic legal framework and budget implications for making your process fully accessible. In March 2017, IAP2 USA conducted a membership survey asking you questions about the services and programs we offer now, how you’d like to see those services and programs progress in the future, the challenges and needs facing P2, and the role of IAP2 in addressing them. We received 173 responses, a 16% member response rate. We’d like to take this opportunity to thank you for your participation and provide you with the highlights of the findings. The full report is available below! People are increasingly satisfied with their IAP2 USA membership. There’s good news- members satisfaction has increased since the last survey in 2014. A full 66% of respondents said they were either very satisfied or satisfied with their IAP2 USA membership. This is an increase of seven points from 2014! Additionally, we know satisfaction is growing because the percentage of people who said they were very satisfied more than quintupled. The number of people who said they were dissatisfied decreased as well. However, IAP2 USA remains aware that 30% said they were not sure how satisfied they are with their membership. Based on the results of the survey, IAP2 USA has identified three areas that are clearly important to members and in which there is room for continued growth: community, tools and techniques, and the role of IAP2. Survey respondents want to connect on a local level. Being able to connect with one another was what they reported as the primary benefit of their membership. This was particularly relevant for people who didn’t have a chapter near them or felt their chapter was inactive. As a result, IAP2 USA will pursue the following strategies to build community. Support local chapters so that practitioners can more readily engage at the local level. Conduct interviews with chapter committee members to understand what works for them and what doesn’t. What challenges are they facing? Find out where the chapter gaps exist. Where do we have a critical mass of members but no chapter. What can we do to mitigate the distance for members located in more rural areas? Create a chapter in a box, so that starting a chapter is easy and clear. Continue to utilize social media strategically. More consistent engagement in posts may be a way to increase participation through this media. Respondents were greatly in favor of having access to new tools and techniques. They want to hear about what other people have tried, what works in certain situations, and what’s on the cutting edge of the P2 practice. Specifically, respondents said in program-related questions that they would like for there to be more tangible take-aways. Responses also indicated that there is a need for a wider range of services, from beginner to advanced. Some of the new members said that they were not aware of what was available to them, which was why they had not yet participated. IAP2 is looking to address these desires as described below. Make sure members are walking away with something when they attend a program. Members are using their most valuable resource when they participate, their time, and we should make sure they are getting something tangible. Ensure that programs accommodate a variety of skill levels. When asked what role IAP2 USA should play in advancing the practice of good P2, most respondents said that IAP2 USA should be at the forefront, leading the way. IAP2 USA is perceived as a force with the ability to unify and address some of the more difficult issues of our time. However, respondents were concerned about the lack of recognition of P2 as a profession and the extent to which officials and managers undervalue it. One of the main reason respondents said that they were not getting the professional certification was that its value is not recognized in their field. Work to grow the recognition of IAP2 USA in general and the Professional Certification in particular. Partner with other organizations that have a stake in and need for good P2. 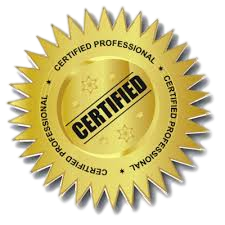 If they have certifications, make IAP2 USA trainings eligible for credit towards their continuing education. Continue to be a leader in P2 and grow recognition of members. Are you an IAP2 Member interested in attending the ACR EPP 2017 Annual Conference being held in Salt Lake City, Utah? You are in luck! The ACR EPP Leadership Council is offering an exclusive discount to IAP2 members in appreciation of our conference partnership. “How do I get the discount?” you ask. All you have to do is enter the discount code “partner” into the promo code box at checkout. Did you already pay? No worries! Contact ACR EPP and they will refund you the difference. Register or Learn more about the conference HERE!